I’m proud* to report that American Express has developed a unique initiative with Fox that is a great example of how commercial deals can work in this increasingly-complicated domain. Sadly it isn’t an Asian-led initiative, but, in my opinion, worthy of sharing anyway. 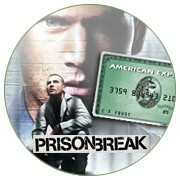 How it works: American Express offers exclusive content on-line for hit prime-time shows ‘Lost’ and ‘Prison Break’ to card members. The Amex card-member types in their card number and they are able to access the content for free. The initiative was developed with MindShare Entertainment and is promoted during the show itself, on the Internet and in print. The benefit for Amex is two-fold; not only does the brand become more desirable & more engaging to current card-members, but they also ‘sow the seeds of envy among the rest’. The platform is about exclusive access as opposed to brand association or movement in brand positioning, so the same initiative could have been applied to the Oprah Winfrey show or Nat Geo’s Marco Polo series, for example, if these were the shows most relevant to the target audience. What are your views on this? Should clients be more concerned about the platform or the association? Online paid entertainment revenue to surge	FMCG = Faster-moving content giants?